Spine fixation. 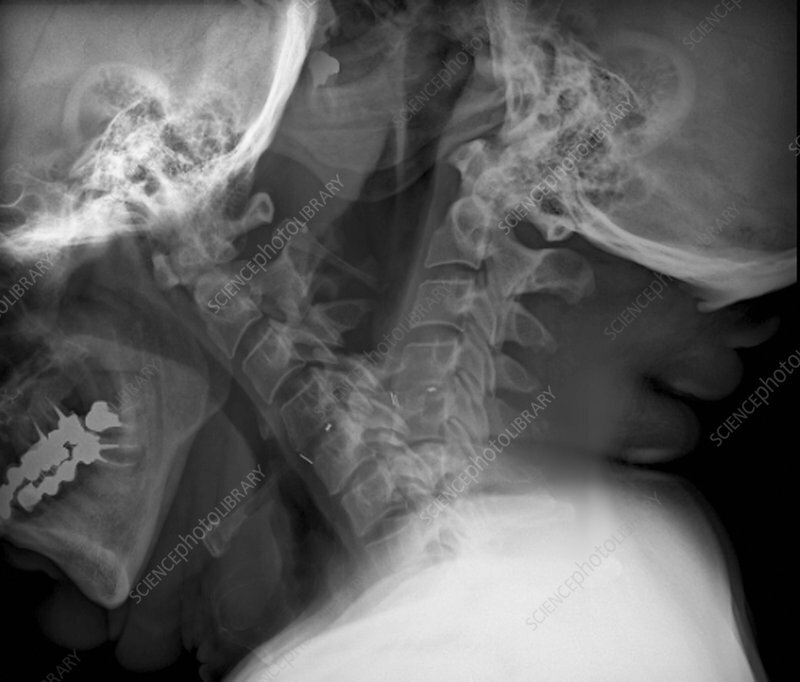 X-ray image of the neck of a 54-year-old patient with an implant (white specks, centre) in the intervertebral space between the C5 and C6 vertebrae of the neck. This implant is being used to fix the C5 and C6 vertebrae in order to control the mobility of the neck after a fracture.